How do I merge PDF documents with PDF-Xchange in Windows? 158. How do I activate group membership in AKKA? See also: Who is an employee and who is a student at the university? AKKA can control whether the user will get group membership to the AKKA-group of the group. 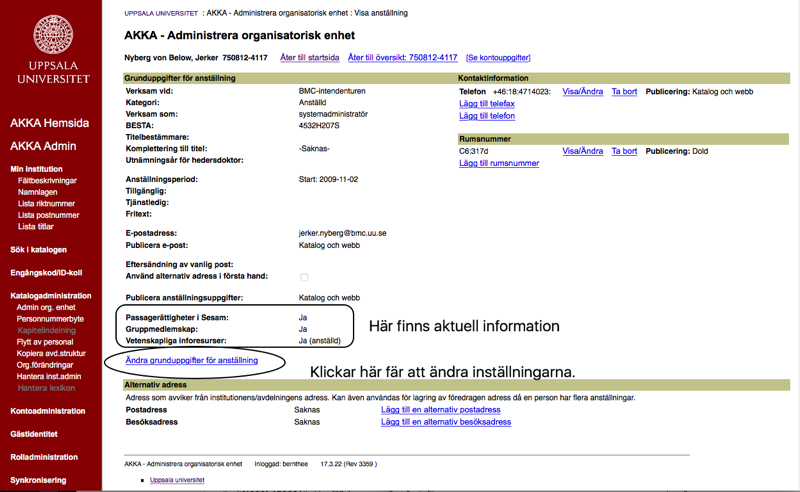 For example a person employed at the BMC campus management will get membership into the group called AKKA - SI29_9 in USER-AD. 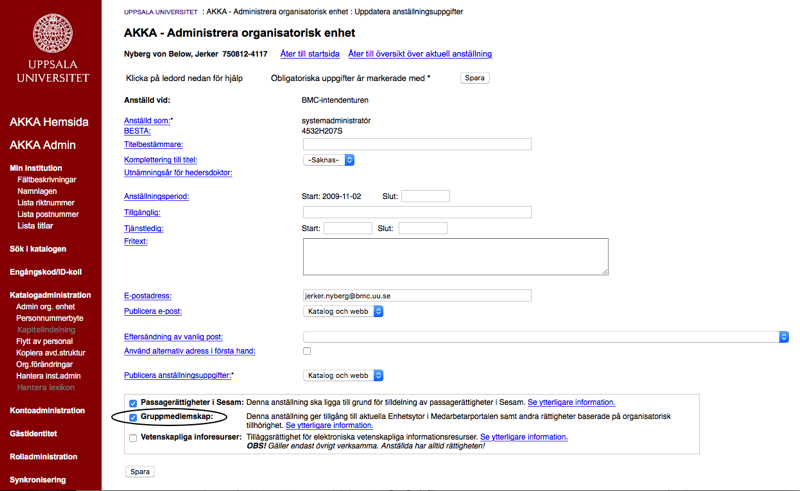 This group control access to network home directories for the department, shared folders for the group and automatic shared areas in Medarbetarportalen. You must be personal manager for the department. Get permission from the responsible person for the group. Group membership may give access (read-write) to research data belonging to the group. Find the user in AKKA. Check current status.